One of the many reasons that I love my work as a professional photographer at Village Photography is the satisfaction I get from helping my clients create and capture their family's special moments. 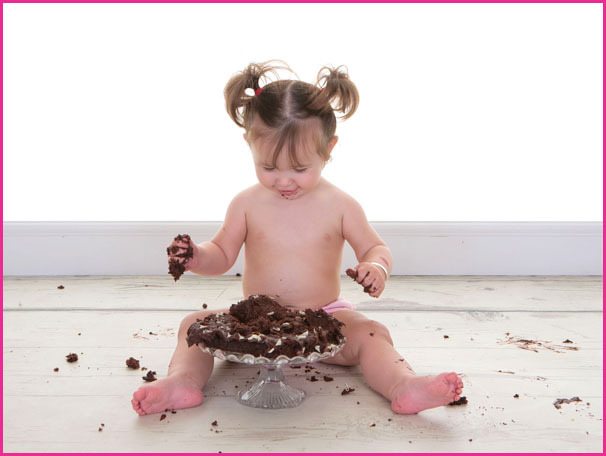 And a 1st Birthday Cake Smash is definitely a special milestone not to be missed. We often get asked "what is a cake smash?" The cake smash style shoots originated in America approx 8 to 10 years ago. I captured my 1st Cake smash shoot just over 6 years ago when a mam asked me if I could do one for her daughters 1st birthday. Since then they have become very popular in my studio and we find parents love the opportunity to do something fun to celebrate their child's first birthday. 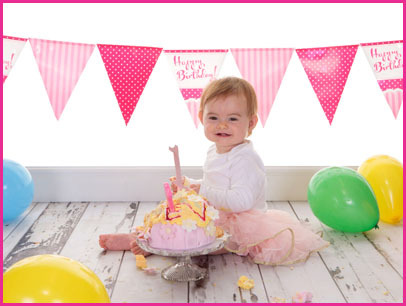 Our 1st Birthday and cake smash photo shoots are so much fun for you and your little one and are a great and unique way to celebrate your baby reaching their first big milestone in their little lives, their 1st birthday. You are welcome to have some family photos taken first and we have a huge range of props we would love to let your little darling experience first. Including Suitcases, Chairs, Boxes, Creates, Vintage Car & Motorcycle, and a wooden moon & train o name a few, before we cover your little one in cake and you will have the opportunity to view all of the images we have taken. 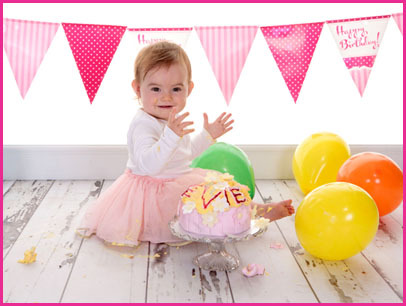 We put your baby and a cake together and photograph what happens, which literally will be your baby 'smashing up' a beautifully iced, giant birthday cake in celebration of their 1st Birthday. For a lot of children it's something new and not something that they have been allowed to do before, so sometimes we have to give them a little bit help and once they realise how much fun it is they can well and truly get stuck into the cake and get very messy, this is where we capture the fun, mess and the chaos! Just to give you a little warning mams and dads get covered in cake as well, be prepared to be caked, but its all part of the fun! 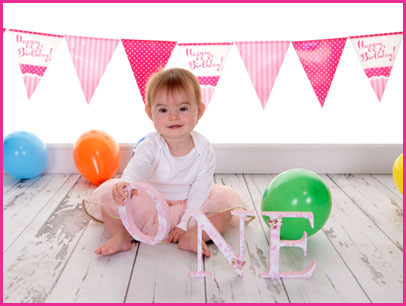 To find out more about our 1st Birthday Photo shoot and Cake Smash Shoots head over to our main Cake Smash page. 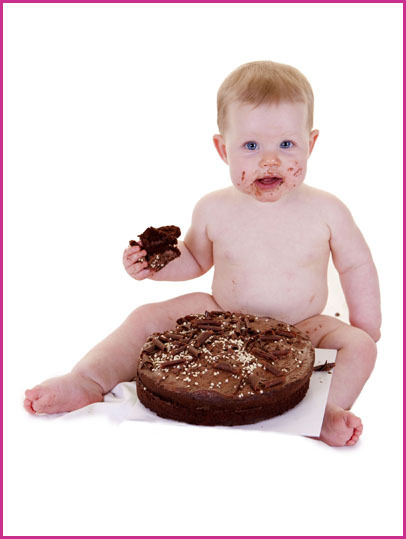 You can also call Judith on 07947153935 for further information and to book your little one into Village Photography for their 1st Birthday Cake Smash Shoot, or you can complete the form below and we will call you back.